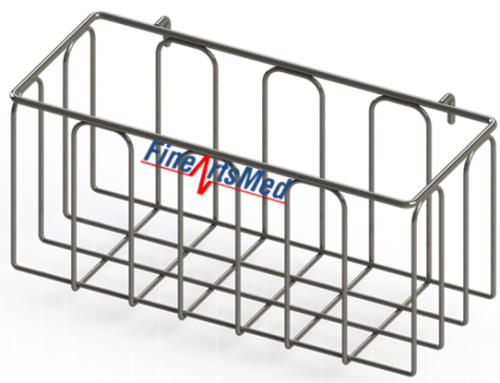 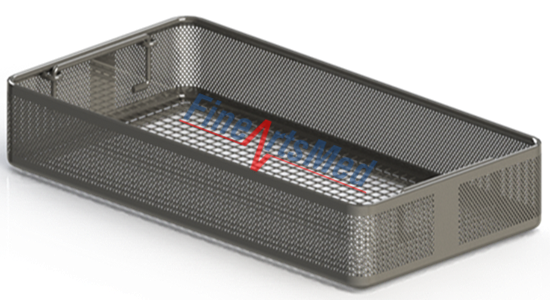 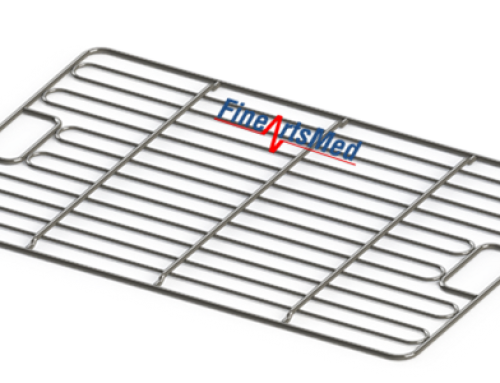 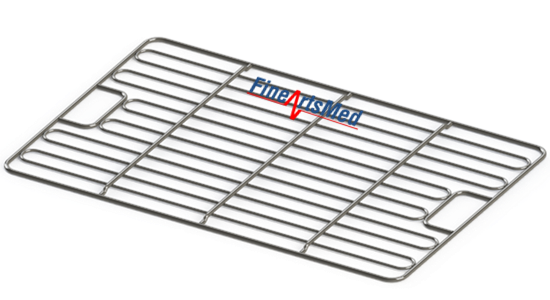 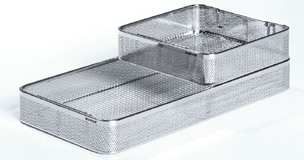 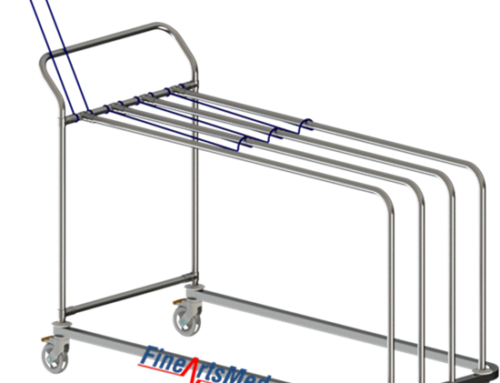 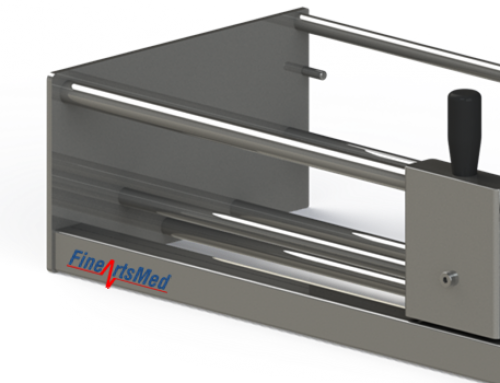 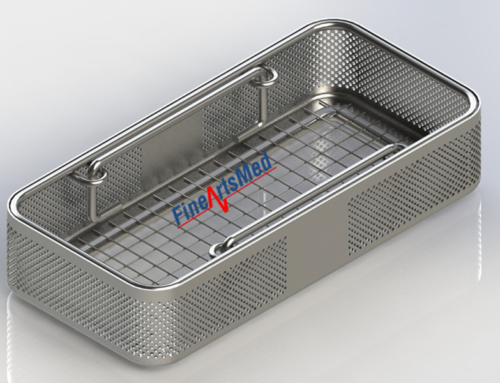 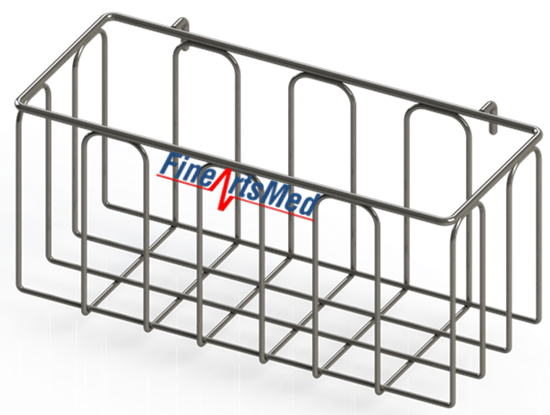 With flat wire base and perforated side walls, for use through all phases of instrument processing. 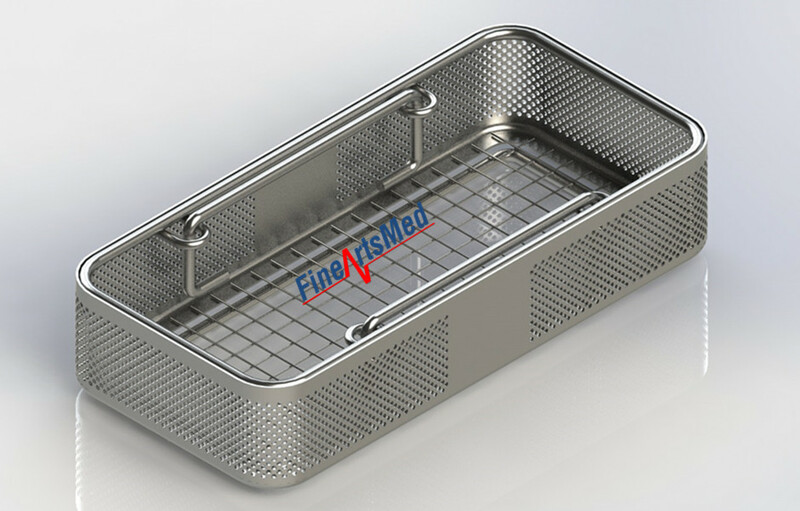 The perforated side wall protects smaller instruments and packing material against damage. 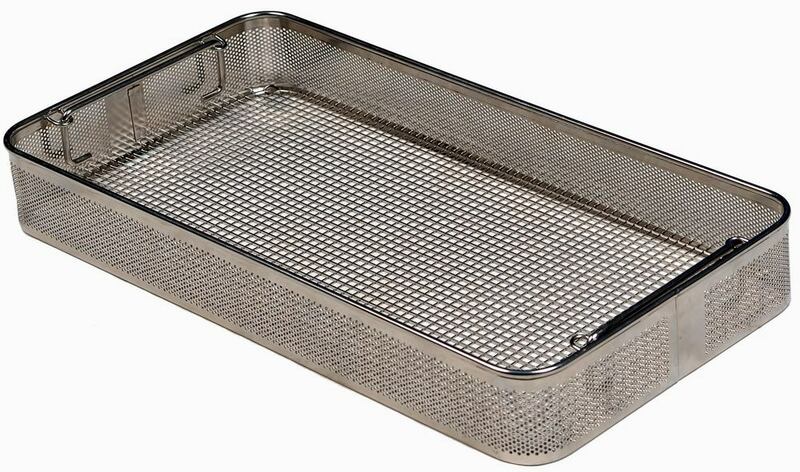 Made of stainless steel material. 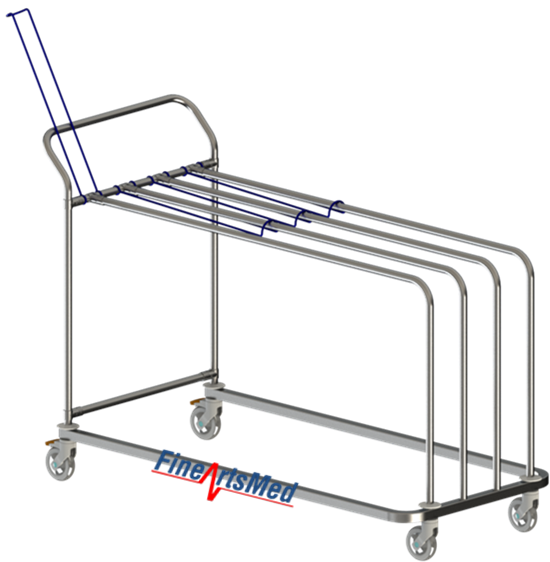 Equipped with two inner-mounted drop handles.